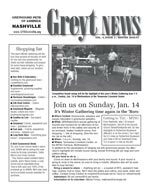 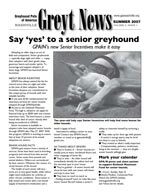 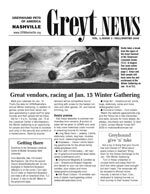 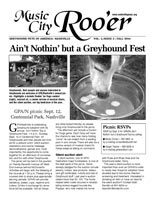 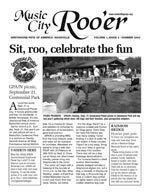 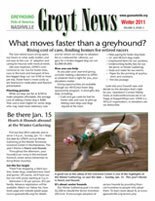 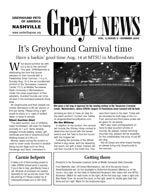 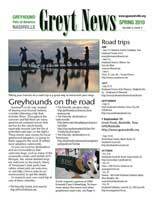 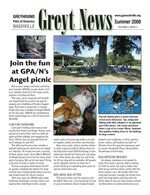 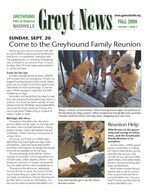 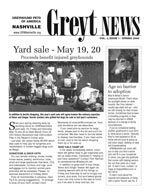 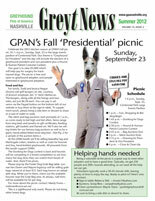 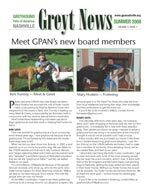 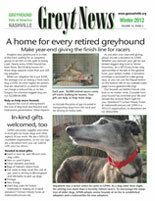 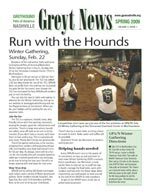 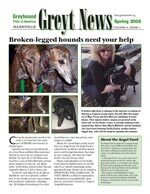 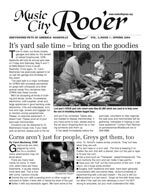 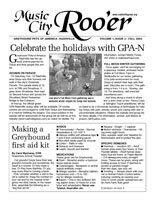 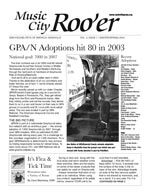 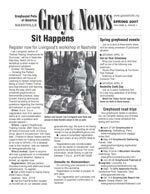 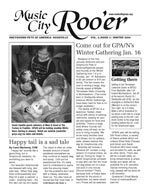 GreytNews is published three times a year and distributed at no charge to GPA/N adopters, interested parties, vendors and people in the racing industry. 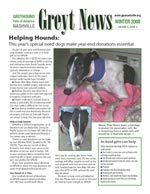 We seek to provide information about upcoming events, trends in the adoption community, veterinary issues, new adoptions and our adopters. 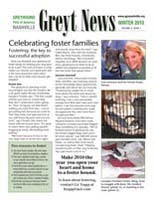 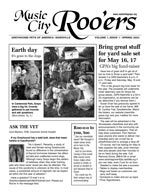 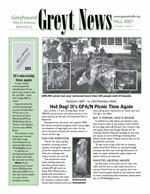 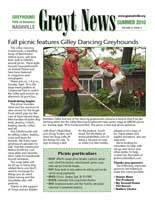 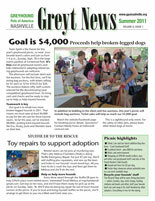 To receive a copy of the current newsletter, email mafones@comcast.net and leave the subject field in tact. 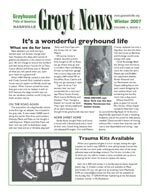 If you’d like to be on our mailing list, send your address to the email above.